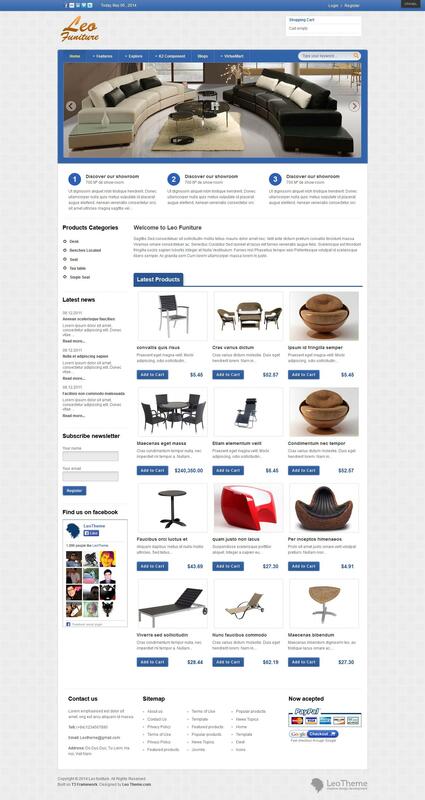 Leo Funiture - functional template online store based on the popular online commerce component VirtueMart developers LeoTheme. Original design template includes 6 color schemes. Powerful platform JAT3 Framework gives template support for mobile and tablet devices, excellent optimization, support for all browsers and faster download speeds. In the news template integrated component K2, which provides flexible management of materials on the site, and adds several new features in the publication and posting articles.